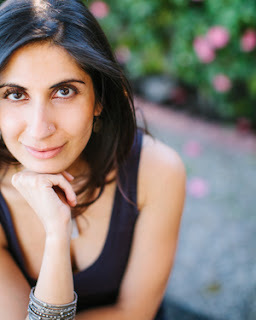 Aditi Khorana is the author of the new young adult novel The Library of Fates. She also has written Mirror in the Sky. She has worked as a journalist for ABC, CNN, and PBS, and as a marketing executive consultant. She lives in Los Angeles. Q: How did you come up with the idea for The Library of Fates? A: I had never before seen South Asian inspired fantasy or myth in young adult fiction and I wanted to change that. I was also reading a lot about the Syrian refugee crisis and asking myself what it means to have lost everything, and the convergence of these two ideas brought me to Library of Fates. I was fascinated with this question of who you become when life is stripped own to its bare essentials. The UN High Commission for Refuges recently reported that 65.3 million people were displaced from their homes in 2015. My grandparents were also refugees - they arrived in India after the 1947 Partition so I've spent a lot of time contemplating this question of starting over when there's no home left. Library of Fates is also loosely based on Alexander the Great's invasion into India. I say loosely, because I wanted to tell a fictionalized version of the story from the perspective of a woman living during that time. Q: What role do you see feminism playing in the novel? A: I'm so glad you asked that because I wanted to talk about the intersection of feminism and colonialism in this book and I loved writing a story about young women challenging a system that's stacked against them on so many levels. Having grown up in this society as a woman, an immigrant, a person of color, I've watched women (and people of color) succeed by subverting the very rules that oppress them, and I wanted to illustrate this in literature. I also liked writing strong female heroines who are resourceful and support and rescue themselves and each other rather than relying on men to do this for them. It felt honest and real to me. Q: Do you know how your books will end before you start writing them, or do you make many changes along the way? A: It actually varies with every book! 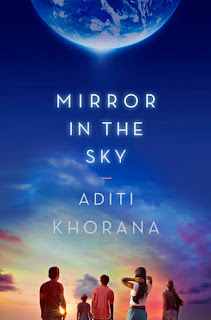 I felt compelled to write my debut - Mirror in the Sky - because I wasn't sure how it would end. 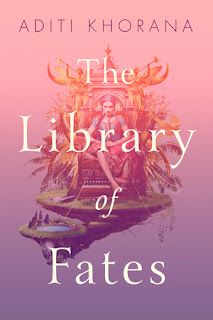 With Library of Fates, I had a fairly strong sense of the ending, I just wasn't entirely certain how I would get there, so it was a harrowing, fun, exciting and nail-biting journey for me as I wrote it! A: I'm so very excited about Arundhati Roy's new novel. She's an absolute favorite. I also love Jacqueline Woodson, Jenny Offill, Renata Adler, Elizabeth Hardwick, Claudia Rankine, and Ben Lerner. I love authors who really push against the conventions the novel. A: I'm working on something kind of experimental and dark! All I can say at the moment is that feminism and race are both huge themes in what I'm currently writing. Then again, I guess those are larger-than-life themes in everything I write! While I was working on Library of Fates, I became obsessed with the idea of Empire: how we internalize it, live with it, don't even bother to question what it means, the hegemony of this dominant culture on our lives. So I'm working on something that addresses that idea, but that's all I can say for now! 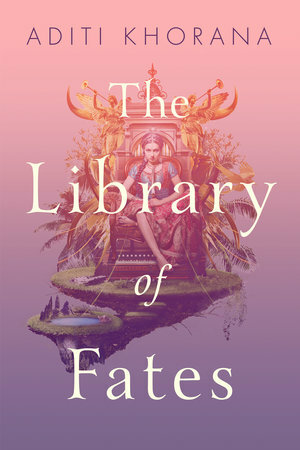 A: Just that I'm very excited about the release of Library of Fates on July 18 and that tour dates will be available on my website. You can also follow me on Twitter @aditi_khorana or Instagram at aditi_khorana to learn more about Library of Fates and other projects I'm currently working on!